It’s no secret to anyone that platinum is the most expensive metal in the world. It is associated with luxury, wealth, status. At a jewelry store you will see that the most expensive department is where they sell platinum. Microgaming developers dedicated Pure Platinum slot machine to luxury metal, made it an ode, and praised it. You will be seeing luxurious expensive things made from real platinum: watches, caskets, rings, bars and other images that are also symbols of wealth on the screen. 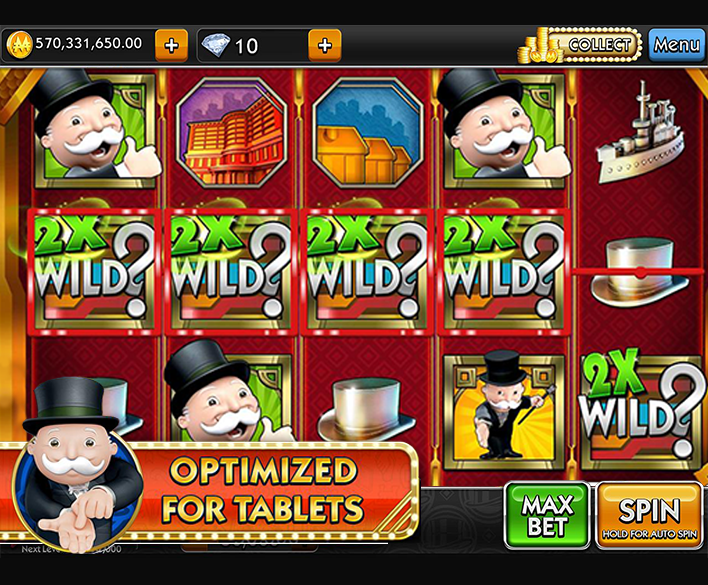 Slot interface is designed using mostly dark colors to emphasize the sparkling tone of platinum, which gives the game a peculiar atmosphere of seriousness and restraint. 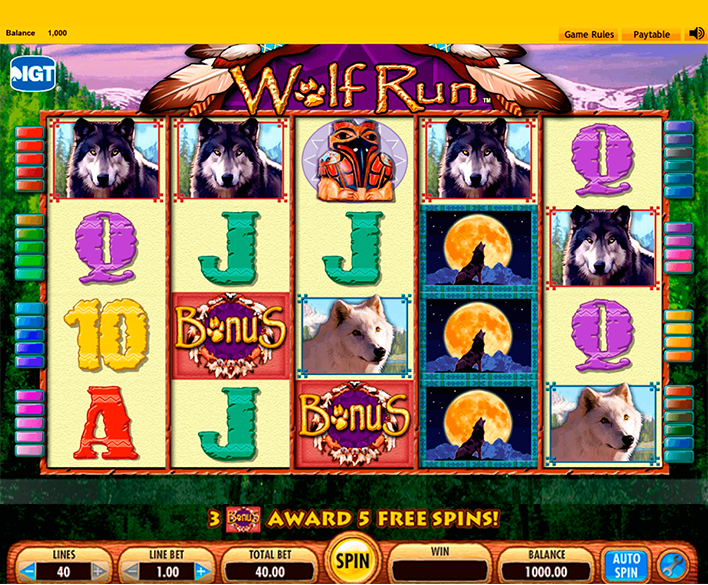 The slot has five reels with 40 paylines with game symbols. You are able to use any number of reels from the available ones. However, keep in mind that the more lines you pay, the higher the chances of having prize combination and the larger prize are. Your winning will be accrued under the special pay table, each time when you have three, four or five identical icons in one row on the active line. All wins will be counted in positions from left to right, except those that were formed with scatter symbol. In addition to payments in the main game mode, the following bonus features are at your service: a wild and scatter symbols that actively assist in the formation of winning combinations on reels, free spins and risk game for doubling of the win. Stylish platinum symbols are represented by the designation of playing cards from nine to Ace. They will bring you 5-200 coins. Watch, Ring, Platinum Ingots will give you 15, 75, 100, 200, 500 or 750 coins. The Pure Platinum logo, used as a Wild Symbol, can substitute any icon except Scatter and bring you 100, 500 or 1000 coins. Platinum disc is used as scatter. When it drops out on the screen it will bring you 1, 3, 20 and x=100 total bets and launch bonus spins. Before launching Free Spins, you will have to choose one of three bonus options: 50 spins with a multiplier of 1; 25 spins with multiplier of 2; 10 spins with multiplier of 5. 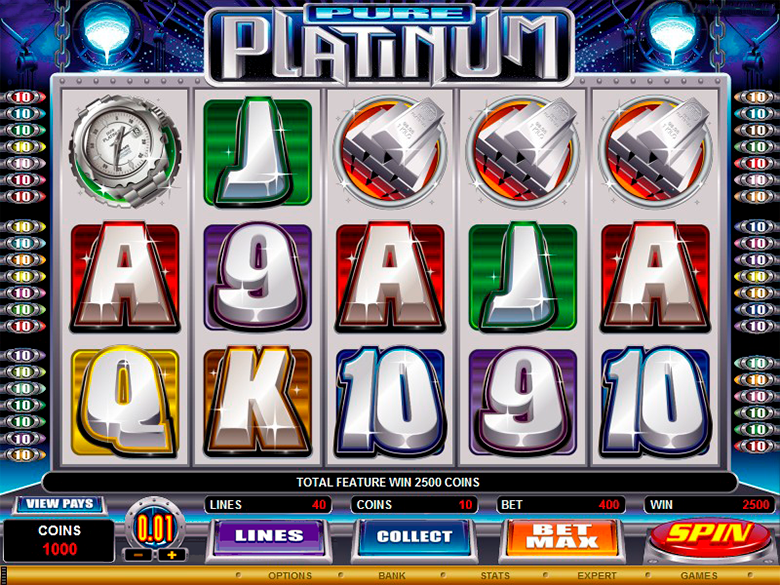 It is very easy to control Pure Platinum slot: the main buttons used in the game are the lines and coins in the middle of the screen at the bottom where you set the bet size on lines and activate the desired number; there is also Spin button that launches reel spins. For the most adventurous and sophisticated punters who enjoy betting big there is a maximum bet size in the max bet option. Pure Platinum mobile slot may be played anywhere and anytime in mobile casinos, including playcanadacasino.com. There is an option of free spins. Thus, you can win 10, 25 and 50 free spins. They are run automatically and you do not pay money during the bonus game free spins. There is also multiplication odd in the game. Depending on the odd size the winning may be multiplied by 5, 2 times. There is also a risky game. If you are lucky while playing it, your winning may be increased by 2 – 4 times. 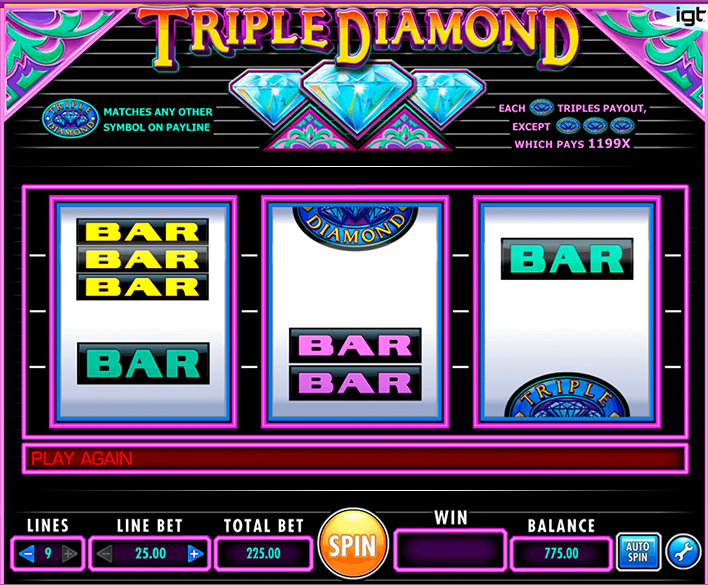 Pure Platinum slot machine is an excellent combination of a high quality game and good chances to win. This is an interesting slot to play. Canadian players may play it at playcanadacasino.com with good bet rates.